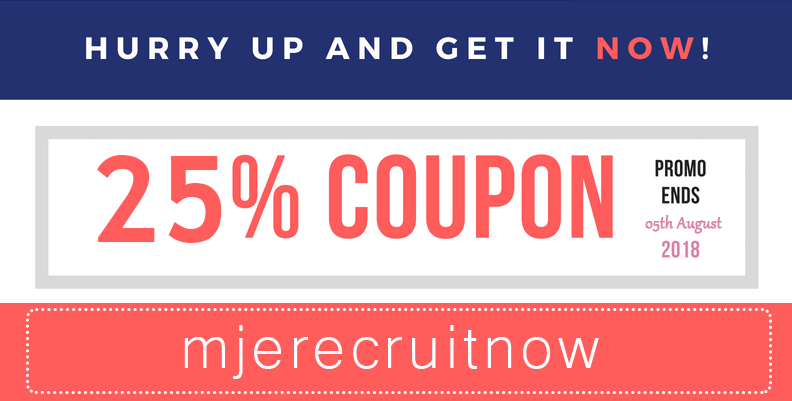 MjE Recruit is here – Start recruiting now! 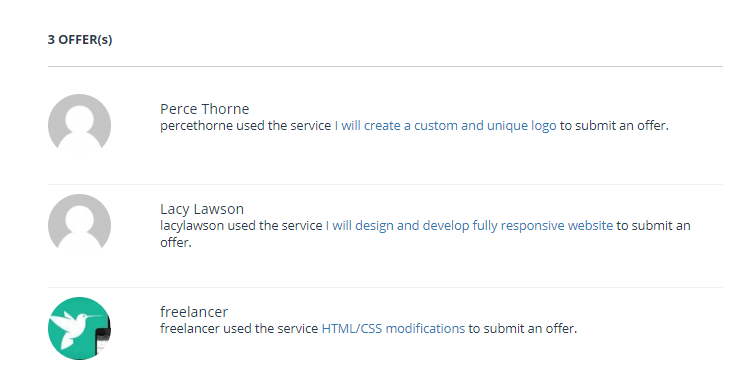 If you’re a huge fan of both FreelanceEngine and MicrojobEngine, you may have thought about integrating these two awesome themes. FreelanceEngine seems to be the perfect platform yet but you want to remove bidding feature. MjE Recruit would be a perfect solution for your business! Since 2012, EngineThemes has created premium WordPress themes with the satisfaction thousand valued customers. As part of our continuing efforts to provide best product to our customers, we are excited to introduce to you MjE Recruit. This plugin is the result of all the feedbacks we gathered from our valued customers. We want to build MjE Recruit to give you and your users more choices and a easier way to find the perfect partners. When having a big project, your users have the need to hire not just one but a team of freelancer to accomplish various tasks. Each task may also have minor tasks that can be completed faster and more accurately based on the requirements of the employers. To catch up with this idea, for the first time ever, EngineThemes integrate multi-freelancers feature and also milestone payments in MicrojobEngine. No longer depend on Paypal adaptive or credit while using escrow system. Instead of that, site admin will keep the transaction amount from the time users purchase the mJobs. Less time struggling for your user with better payment will bring you more transactions and income. A team of freelancers for all the need of your user’s project will be gathered in no time with less effort. Now your user don’t have to create many projects and check it separately. They can choose more than just one offer in the list of project bidding. For a big project, milestone payments will be a important feature beside of milestone workspaces. User can easily send payment to freelancers for completed work. To create a win-win deal is a very important aspect if both employer and freelancer want to have the long-term cooperation and the best outcome for every project. At any stage of the workflow, both sides can contact each other for a better negotiating and decision making. Private message in MicrojobEngine has a feature to support attachment files. Both sides can send proposal, CV, portfolio… in real-time for quicker and more effective negotiate flow. Both sides will also have email notification for any activities and changes was made by partner sent from the email system. This feature allows them instantly follow up all the work. The freelancer only need to choose the service available in the drop-down list created by the employer. An already posted mJob will be required in this step to fit with the service. If the freelancer didn’t have the related mJob he/she can create it in the Submit Offer Option. Throughout negotiation flow, freelancers and employers can send custom orders and offers to get the agreement from both sides. They can change all the elements like Budget, Time of delivery, Description through real-time private messages mentioned above. Excited for this plugin. Been waiting for it. So this plugins is only available for the MicroJobEngine, or is it also available for FreelanceEngine theme? It is a MicrojobEngine plugin and won’t work with FreelanceEngine. Why isn’t there a live preview??? Also “view all jobs” on homepage showing 404 page..fix things engine themes!!! I really want to win this plugin !! Looks great ! A while back I had to get an external plugin and customize it to work similar to MJE Recruit plugin for my MJE site. It was costly to do so that is why I am happy that EngineThemes now has the solution for us. I would really appreciate being awarded this plugin. Great plugin! All the things necessary to get the deal done. 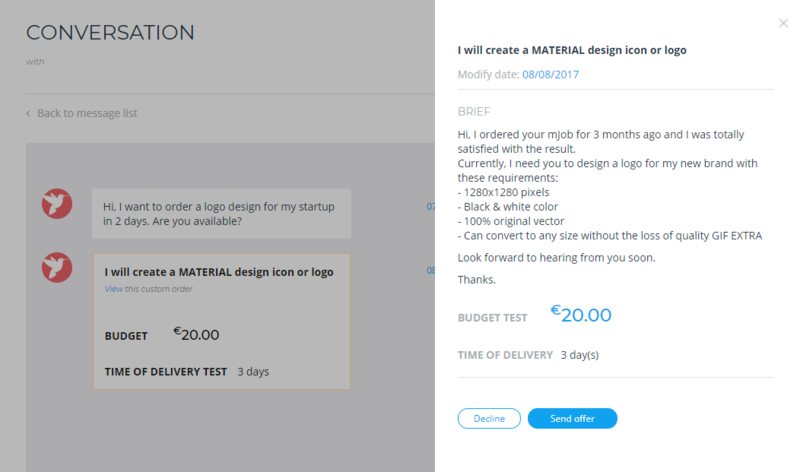 – the button “send custom order” in the recruitment page doesn’t work. – once someone submits an offer to a recruitment request, on the right side of the recruitment page you get the profile of the first person who submitted the offer. When there aren’t any offers, there’s the profile of the person posting the recruitment. I don’t see why that should change. Also, no matter how many other people submit offers, the profile of the first person remain visible. – when you want to submit an offer there’s a little design bug: the + that should be near “post an mjob” is actually under the button for submit offer. I hope you can fix these soon because otherwise I really wanna use this plugin. 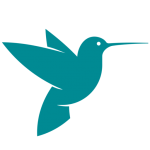 I have been considering between microjobenginne & freelanceengine for weeks and I think this plugin helps me with my decision. I will purchase MjE Plus so I hope I can get this plugin for all exciting features it brings. I didn’t notice today is the last day of the giveaway! But anyway because I really like it so I decided to give it a try! Basically, I have asked the Support team if they can integrating these two themes: FreelanceEngine and MicrojobEngine for a long time ago but they can’t due to some technical problems. The struggle is real as I do need both of the features from this two themes. Now I’m really happy that you guys keep your promise and make this come true! Can’t wait to try this with my website! Pretty sure all my users are gonna love it! Keep it up with your amazing work! Very nice plugin ! Hope I’ll win it ! Very Nice plugin by Engine theme. Its seems flexible and easy to use. Hope it will give new life to Engine Theme. Hope to win this plugin to test it on my site. Looks very useful plugin. Hope I’ll win to use in already running site. Winning the MJE Recruit plugin would be a game changer for my site because it will allow users to enter into a more flexible work arrangement that accomodates their needs, somewhat similar to their real life experience. The added advantage is that MicrojobEngine as a whole provides a much more safer environment due to the safe procedures of settling payment between buyers & sellers. I know my users will appreciate this plugin 100%. What I like about MicrojobEngine Recruit is that we can hire multi-freelancers per post, but also the milestone payments ! 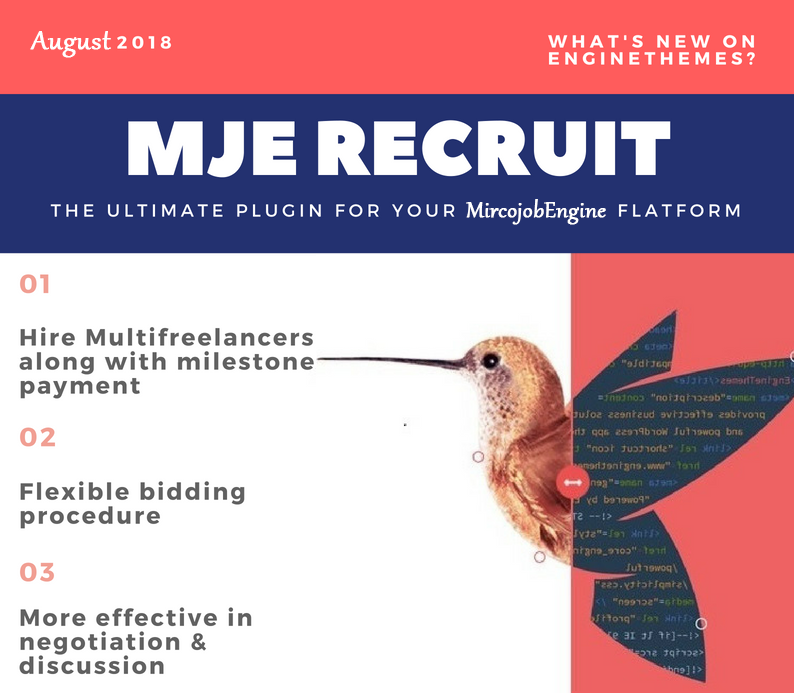 I already have a website with freelanceengine but I’ll switch to MicrojobEngine because now thanks to MjE Recruit, I can build the website that I wanted ! I just bought this plugin . and don’t know what to do with it . Is there a documentation which states how to setup and use the features ?